Our engaging Community Homeschool Investigators of the River Park (CHIRP) Program, provides an interactive, outdoor environmental education experience. This is a drop-off program. 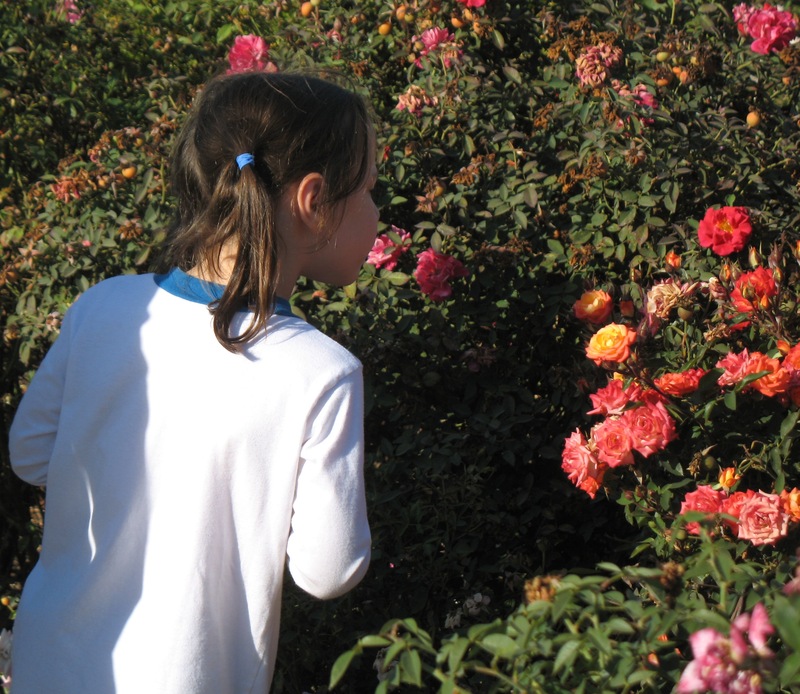 We utilize our river, famous Heritage Rose Garden, Historic Orchard, and exhilarating park as tools to teach exciting educational themes. Our students build a community with one another by maintaining our classroom garden, and working together with experiments, observations, and other hands-on activities. Lessons take place outdoors, but will be moved indoors in the case of inclement weather. 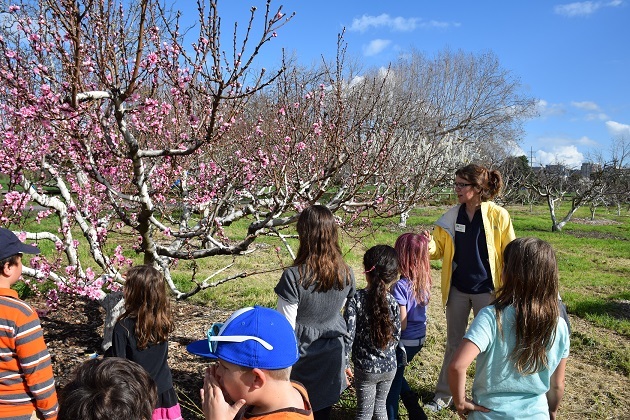 Our lessons structurally encourage students to form their own connection with nature, while reinforcing environmental objectives and concepts. CHIRP is proud to be an activity-based, question-driven program with the newest Next Generation Science Standards (NGSS) as a model. February: Get up & Garden! Designed for children ages 5-8. Class dues are $18 per student per class for Friends of GRPC ($50/year donation) or $25 per student per class for non-members. This is a drop-off program. The same lesson is taught each day of the week; lessons change on a weekly basis. Welcome Ocean Grove, Connecting Waters, Summit, Peak Prep Academy, and Valiant families! GRPC is a registered vendor. If you’re interested in using these funds, please email us with the attendee names and class dates and request a purchase order from your ES. You do not need to complete the sign up form below. To kick off our Herpetology unit, we will begin by determining just what “herpetology” is, as well as why the study of reptiles and amphibians is important. We will begin by studying frogs and toads, exploring their anatomy, behaviors, and habitats, as well as get an up-close look at our very own Resident Toad, Rocky. This week, we’ll be moving on to turtles and learning about their anatomy, the structure and functions of their shells, and the differences in habitat between sea turtles, tortoises, and the Animal Ambassadors we have here at Guadalupe River Park. To end our unit on Herpetology – as well as the schoolyear – we’ll be discussing snakes. We will talk about their anatomy, their various habitats, predator and prey relationships…and figuring out just how they move without legs. Students will have a chance to meet El Capitan, our resident California King Snake. In class this week, students will become scientists to explore our river ecosystem and investigate the life forms that inhabit it – and what that means about our city and pollution habits. Sign Up Today! To add more than one class, fill out the form below for the first class and click “Sign Up.” You will be taken to the cart page, where you can click “Continue Shopping” to come back here and add more classes. You can also sign up for the whole series! Please indicate the number of students and select the class(es) you’d like them to attend. Response required. Please write the names and ages of attendees. Response required. I, the undersigned, do hereby give my full consent for the above-named person(s) to participate in Guadalupe River Park Conservancy’s Community Homeschool Investigators of the River Park (CHIRP) Program for Homeschool Students. I agree to hold harmless the City of San Jose and the Guadalupe River Park Conservancy and the officers, employees, volunteers and agents should any accident occur requiring medical care above-named person(s). I give full consent to the providing of such care by a licensed physician. Further, I hereby grant full permission for any and all foregoing use of photographs, videotape, motion pictures, recordings, and any other records of these events for education and public relation purposes. I have also read and understand the cancellation and refund policy should I need to cancel my registration for any class in the Community Homeschool Investigators of the River Park (CHIRP) Program for Homeschool Students. Response required. I am aware that this is a drop-off program. Response required. Which session are you signing up for? Response required. Questions/Comments — Use the field below to leave any questions or comments you may have. GRPC cancellation policies are based on our investment in staff, course planning, as well as materials and equipment purchases before your course. We cannot recover our expenses if you cancel. Short-notice cancellations often prevent others from attending. Nevertheless, we understand that the needs of families may change during the year. Program Refunds: All refunds and changes are subject to a $5 processing fee per program. There are no refunds, credits, cancellations, or changes less than two weeks prior to the start of the program. A full refund will be given for any program cancelled by GRPC. No refunds will be issued once a program begins.